CFR works with a variety of rail and truck carriers, who transport product all across North America. Our carriers are safe, reliable and are monitored to ensure they meet our strict safety standards. The CFR Kuusamo plant, located just west of Red Deer, AB, offers trans-loading services, as part of our tank rental program, and as an à la carte service. Our ability to spot over 150 railcars on our rail-spur gives us the option to offer our customers this unique service. 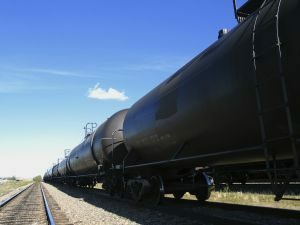 Railcars can be off-loaded to rented tanks, trucks, or be packaged into totes/drums/pails – it’s your choice. CFR has recently added a 20 car rail spur at the Village of Heisler. This rail spur will give our customers further options to assist them with their trans-loading requirements.